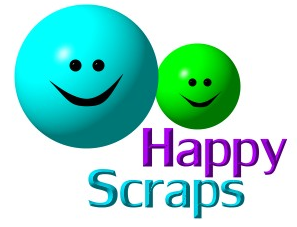 If you are not satisfied with the product you received from Happy Scraps, please contact us immediately for prompt service. Our goal is 100% customer satisfation! NON-PERSONALIZED items may be returned within 30 days of receipt, in original condition, for exchange or refund (excluding shipping and handling charges). "Names", personalized products, and customized color combinations cannot be returned. Our products are normally shipped within 10-15 business days. Customized color combinations are created to your specifications and may require additional time to process and ship. We ship via Priority Mail within the United States. Because our products will not break and are light weight, we are able to ship very economically. Within the US, most items will ship for $7.50. For orders outside the US, please contact us at happyscaps4u@gmail.com to get a quote on the shipping fees.